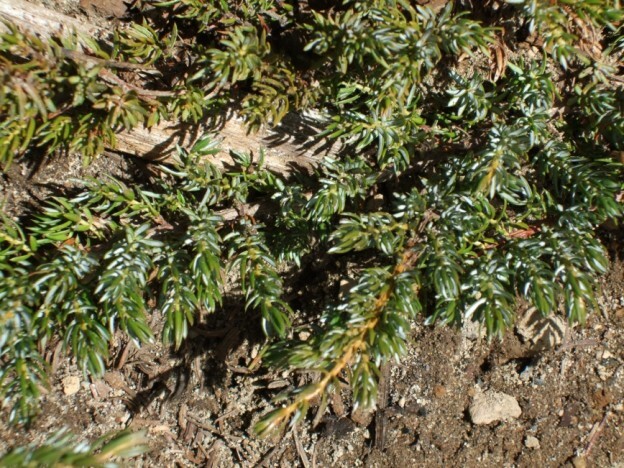 Names: Common Juniper lives up to its name, being the only circumpolar conifer of the northern hemisphere. 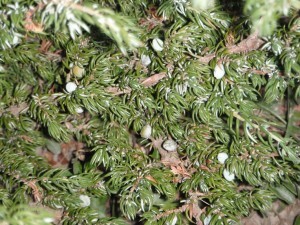 Relationships: There are about 70 species of Juniper worldwide, with 13 native to the United States. Only 2 species occur in our region. Distribution: It is native to Europe, Asia and North America. Growth: The species varies widely from a groundcover to a tree 60 feet (20m) tall. In our region it is a prostrate, trailing shrub usually less than 3 feet (1m) tall, forming mats to 9 feet (3m) in diameter. Habitat: It grows from near sea level in lowland bogs, in dry, open woods and on rocky slopes to subalpine ridges and alpine tundras. In the Landscape: There are several cultivated varieties of this species suitable for many situations. 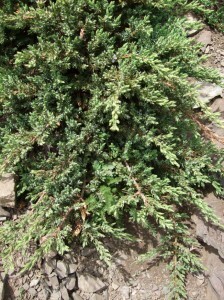 Our native forms are best used in a rock garden or in border plantings. Propagation is easiest by heel cuttings of mature wood taken in fall. Seeds have a prolonged dormancy of 14 to 16 months requiring a cold period, then a warm period and another cold period, each about 2-3 months. Soaking the seed for a few seconds in boiling water may help to remove the fleshy seed coat, which would naturally be removed after passing through the digestive system of a bird or small mammal. If all goes well, you may achieve about 45% germination rate after the 2nd spring. Use by People: In the old world the berries are known for their use as the flavoring for gin. North American native used all parts of this plant for various medicinal purposes, They used the fragrant branches for rituals and in sweat lodges. The dried berries were used as beads to make necklaces and to decorate dresses by California tribes. Use by wildlife: Deer and mountain goats browse Common Juniper to at least a limited extent. Levels of use are typically greatest during the winter or early spring. 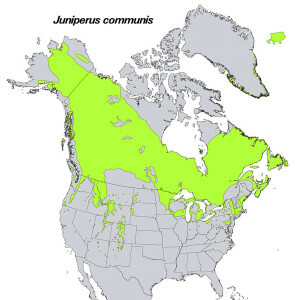 Caribou and Moose have been observed feeding on Common Juniper. Hares may also browse Common Juniper. 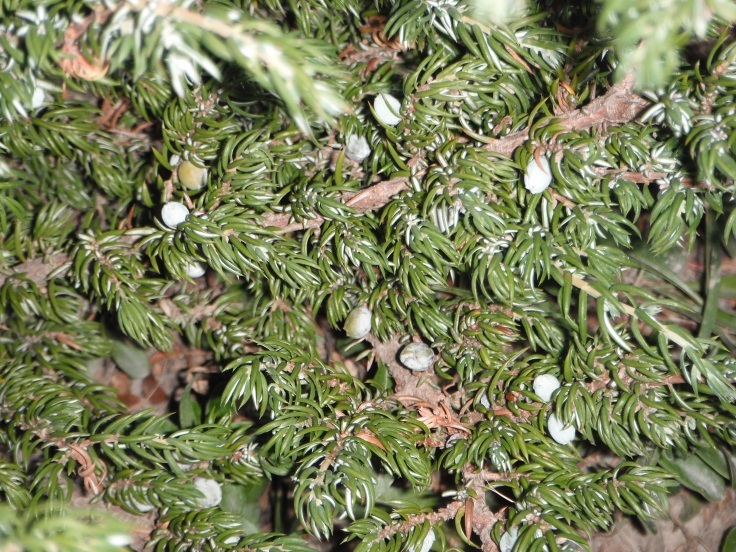 “Berries” of most junipers are eaten by many species of birds and mammals, including American Robins, Black-capped Chickadees, and Cedar Waxwings. Wild turkeys also feed on the berries of Common Juniper. It also provides cover and nesting sites for birds and small mammals. 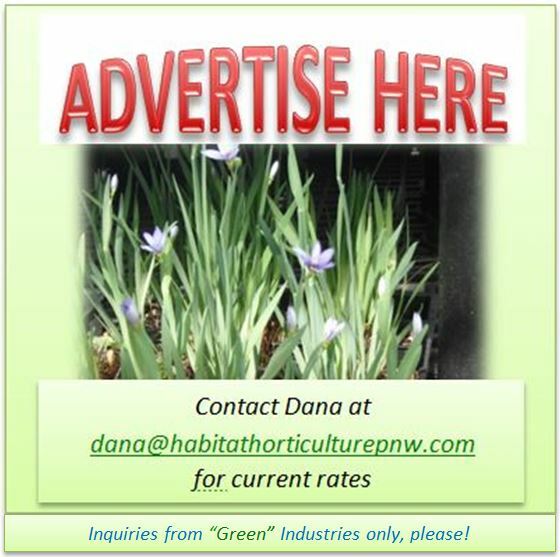 This entry was posted in Conifers on May 14, 2014 by habitatdana.